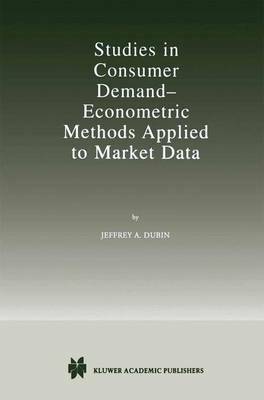 Studies in Consumer Demand - Econometric Methods Applied to Market Data contains eight previously unpublished studies of consumer demand. Each study stands on its own as a complete econometric analysis of demand for a well-defined consumer product. The econometric methods range from simple regression techniques applied in the first four chapters, to the use of logit and multinomial logit models used in chapters 5 and 6, to the use of nested logit models in chapters 6 and 7, and finally to the discrete/continuous modeling methods used in chapter 8. Emphasis is on applications rather than econometric theory. In each case, enough detail is provided for the reader to understand the purpose of the analysis, the availability and suitability of data, and the econometric approach to measuring demand.